In the days following the dramatic manhunt in Boston for surviving terrorism suspect Dzhokhar Tsarnaev, questions have multiplied regarding the significance of the Tsarnaev brothers’ Chechen roots. Thus far, it isn’t clear whether this connection played any role in their fatal attack on the city last week, which resulted in the deaths of three people and more than 170 casualties, but it will likely continue to be investigated in the weeks to come. Why and how 26-year-old Tamerlan Tsarnaev, killed in a firefight with Boston police on Friday, turned to violent extremism is a central question in the ongoing investigation. On Friday the FBI confirmed that it questioned Tamerlan in 2011 after a “foreign government” requested information about him, and it also emerged that Tamerlan spent several months last year in Russia’s North Caucasian republic of Dagestan, which is east of Chechnya and where the brothers’ parents currently reside. While Tsarnaev’s religious radicalization in the context of an immigrant life in the United States will be what many choose to focus on, his ethnic Chechen roots and potential links to radicals in the North Caucasus remain subjects of interest as well, despite his mainly diasporic association with the region. The so-called Chechen connection is, perhaps, of less interest in the case of his surviving 19-year-old brother, who by many accounts was a reasonably well-adjusted American-immigrant youth. Dzhokhar allegedly identified with his religious and ethnic origins in Chechnya but was also tied to multiple subcultures, attached to his older brother, and experiencing serious academic difficulties in college. While conflicting accounts of the family’s origins exist, we know that they lived for many years in Kyrgyzstan, one site for Joseph Stalin’s mass deportation of Chechens during World War II. The family reportedly moved to Chechnya in 1991 after the collapse of the Soviet Union, and they may have returned to Kyrgyzstan as Chechnya descended into chaos and war. By 2001 they were back in the North Caucasus, in Dagestan, and they then made their way to the United States as refugees. As the Chechen connection continues to be investigated, here are some things to keep in mind about Chechnya and the North Caucasus, as well as the potential impact of developments on U.S.-Russian relations. 1. There is no ‘Chechen’ insurgency—ethnic or religious—in Russia’s North Caucasus today. Chechens declared independence from the Soviet Union in the final months of its existence in 1991 and continued to insist upon their independence from Russia. The Russian government sought to retake the territory by force from 1994 to 1996, in what became known as the First Chechen War. This disastrous war, causing mass casualties and destruction in Chechnya, ended in a stalemate and Chechnya’s temporary de-facto independence. This period saw a rise in crime, lawlessness, and general mayhem in the region, splits between the local government and insurgents, and an increasing Islamicization of the rebel movement, in part encouraged by the entrance of former mujahedeen—radical Islamists who fought in Afghanistan—to the region from the Arab world. In 1999 Russia launched the Second Chechen War after insurgent Chechen forces crossed into Dagestan ostensibly to defend local Islamists from Russian federal forces, along with a series of suspected terrorist attacks. This second brutal war ended in the re-establishment of federal control over Chechnya and a drawn-out insurgency that Moscow eventually pacified, in part by co-opting some local fighters. By early 2007 the insurgency had been crushed. Local strongman Ramzan Kadyrov is the current leader of Chechnya and has, together with Russian federal forces, kept Chechnya largely quiet. At the same time, a relatively low-level insurgency has spread throughout the broader North Caucasus region, with Dagestan as the greatest hotbed of activity. The insurgency also has a presence in regions west of Chechnya in the republics of Ingushetia and Kabardino-Balkaria, the latter less than 200 miles east of the city of Sochi, the site of the 2014 Winter Olympics. 2. Domestic terrorism was an element of the Chechen insurgency, and terrorism has played a role in the broader North Caucasian insurgency. North Caucasian Islamist insurgents target local military, police, and other government personnel and facilities as a matter of course, often in suicide attacks. They have also engaged in several major attacks against civilians. 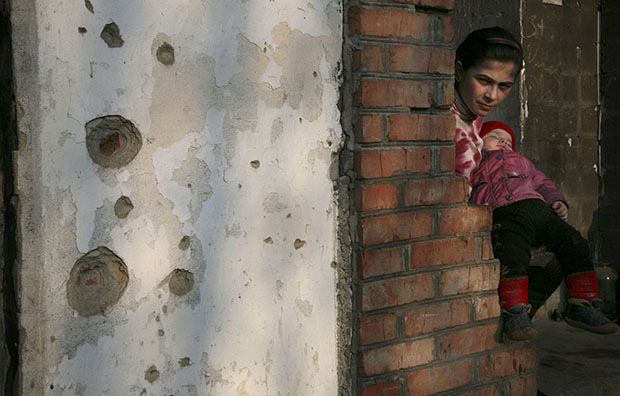 The First Chechen War saw a rise in the taking of civilian hostages by Chechen rebels. The Second Chechen War was precipitated in part by a series of apartment bombings in Moscow and elsewhere that authorities blamed on Chechen terrorists. In 2002 Chechen terrorists seized a crowded theater in Moscow, leading to the deaths of roughly 130 civilians during the subsequent siege by government forces and their use of knockout gas. In 2004 terrorists carried out two suicide bombings in the Moscow metro and another two on airplanes, and more than 300 civilians—more than half of which were children—were killed in a terrorist attack and subsequent government rescue attempt on an elementary school in Beslan, North Ossetia, west of Chechnya. More recent major attacks include a bombing on a Moscow-St. Petersburg train in 2009, a Moscow metro attack in 2010, and an attack in Moscow’s Domodedovo airport in January 2011. Many women, including some widows of fighters, have participated in attacks, and some of the more recent attacks have been perpetrated by non-Chechens, including Dagestanis and Ingush, the Chechens’ immediate western neighbors, as well as Chechens. At the start of 2012, the nominal head of the pan-Caucasus insurgency, Doku Umarov, publicly called for the cessation of attacks against civilians. No terrorist attacks against major civilian targets have taken place since. 3. As an organized movement, the insurgency has been overwhelmingly focused on a local agenda. As mentioned, Arab mujahedeen fighters found their way to Chechnya in the 1990s and exerted some influence on the insurgency. Some of these fighters also developed links with Al Qaeda, but the role of foreign fighters dwindled in the 2000s. North Caucasian insurgents have focused overwhelmingly on their home territory, which they claim to want to transform into an “Islamic caliphate.” Chechens and other North Caucasians have never featured prominently among leadership networks in Al Qaeda or related groups, and observers continue to debate whether individuals from the North Caucasus ever fought in Afghanistan or other jihadist battlefields in any significant number. As an organized movement, the insurgency is locally focused, without a large global or anti-Western element. That being said, some individuals from the North Caucasus have been implicated in international terror plots, and some Chechens have also reportedly been fighting alongside Islamist rebels in Syria. 4. The Boston terrorist attack may provide for an uptick in the U.S.-Russian security partnership, but we should be careful not to overdramatize its significance for overall U.S.-Russian relations. The Russian response to the Boston attack was entirely welcome, as sympathetic and supportive as have been American responses to terrorist attacks in Russia. In a call that Russian President Vladimir Putin initiated to President Barack Obama, the two leaders discussed the possibility of increased counterterrorism cooperation. The impact of the attack on U.S.-Russian relations has provided an echo of the aftermath of the September 11 attacks, which prompted a boost in the U.S.-Russian security partnership. This may seem like a dramatic turnaround given the decline in U.S.-Russian relations over the past year, especially in light of Moscow’s January termination of an agreement on law enforcement and counternarcotics cooperation. But in recent months the U.S. and Russian governments have been seeking ways to renew security cooperation on issues such as nuclear nonproliferation and arms control via updated mechanisms. The Boston attack provides an entry point for discussions in the counterterrorism sphere. At the same time, the history of post-9/11 relations suggests that a stable and constructive U.S.-Russian relationship cannot be built mainly on a counterterrorism foundation. One element of the Russian response to the Boston attack has been the narrative that the United States is selective in its dealing with terrorists worldwide and that this attack should convince Washington to adopt a stricter line against all forms of Islamist extremism, such as, for instance, extremist elements in the Syrian resistance. While we should welcome greater U.S.-Russian counterterrorism cooperation, we should also temper expectations that the United States and Russia will develop entirely convergent policies of counterterrorism and counterextremism—or that such cooperation will be sufficient to overcome the still-substantial challenges in U.S.-Russian relations.